Rendezvény kezdete: 2019.04.12.Rendezvény vége: 2019.04.15. The ISN World Congress of Nephrology is a great opportunity to raise the profile of your work among a body of international nephrology specialists. 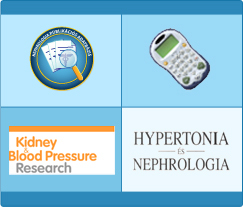 Besides potentially securing the author a presentation slot, accepted abstracts will be published electronically in the searchable databases of the WCN 2019 and Kidney International Reports (an official journal of the ISN). About 20 select abstracts will also be published (electronically) at the ISN Academy. Since abstract presenters must also be registered by January 31, 2019, we encourage you to take advantage of the early bird discount – which will easily defray the $40 processing fee. If you register now, you can enjoy significant savings (up to $200 USD) on your admission to the congress, which includes the scientific program, all plenary sessions and unparalleled access to international medical expertise in kidney care and research. The ISN World Congress of Nephrology 2019 has been accredited with 17 European CME credits by the European Accreditation Council for Continuing Medical Education (EACCME®). The EACCME is an institution of the European Union of Medical Specialists (UEMS). Both pre-congress courses and WCN 2019 itself has been accredited. Searchable program is now online! Though this year’s special focus is on glomerulonephritis and integrated end-stage kidney disease, you can be sure that all aspects of kidney disease will be covered. Come to Melbourne and meet some of the world's leading nephrology experts at the World Congress of Nephrology 2019!